(Z7/FZW) (Harare) 2014 - 2015. Photos. Framable Color Prints and Posters. Digital Sharp Images. Aviation Gifts. Slide Shows. Airline Color Scheme - Introduced 2014. 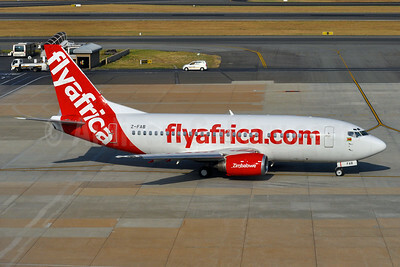 Flyafrica (flyafrica.com) Boeing 737-55S Z-FAA (msn 26539) JNB (Rob Finlayson). Image: 924381. 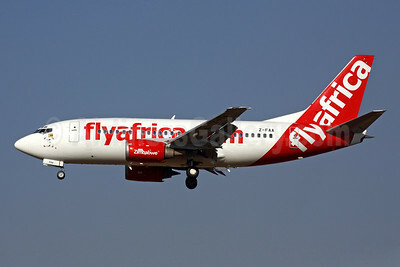 Flyafrica (flyafrica.com) Boeing 737-55S Z-FAB (msn 26540) JNB (Tony Storck). Image: 930165. 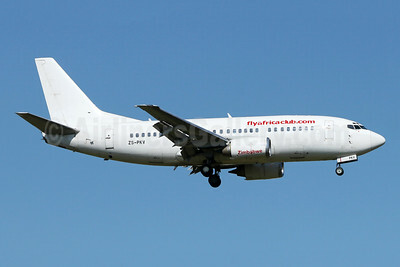 Flyafrica (flyafricaclub.com) Boeing 737-5Y0 ZS-THY (msn 25188) JNB (Jonathan Druion). Image: 946213. 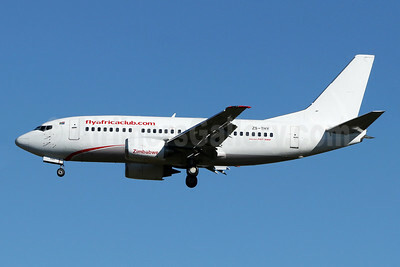 Flyafrica (flyafricaclub.com) Boeing 737-529 ZS-PKV (msn 25418) JNB (Jonathan Druion). Image: 946212.